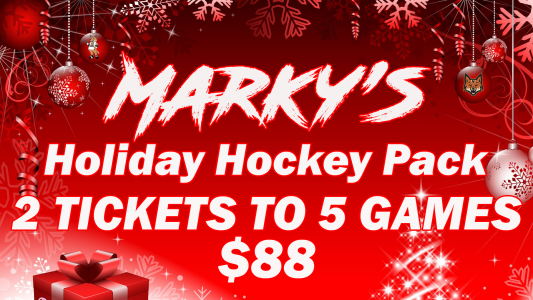 For just $88, get TWO tickets to FIVE Marksmen hockey games – that’s just $44/person! This unbelievable deal is our gift to you this holiday season, and our way of saying thanks for being a loyal fan. Buy before December 19 and get the fifth game FREE! You ABSOLUTELY cannot afford to miss out on this outstanding deal, so don’t delay and get this for your special someone today.